Melissa Goffin grew up in Florida, where the word “barbeque” means a lot more than throwing a few cheap snags on a hotplate. She and her English husband, Martin Goffin, brought that experience to the Peninsula in mid-2013, staging a series of pop-up barbeques at Commonfolk in Mornington. Martin learnt the craft after more than a decade of visiting the American South. Later he took up residency at a barbeque joint in South Georgia, before the duo opened Red Gum BBQ in 2017. The semi-industrial space was once a truck mechanics warehouse. 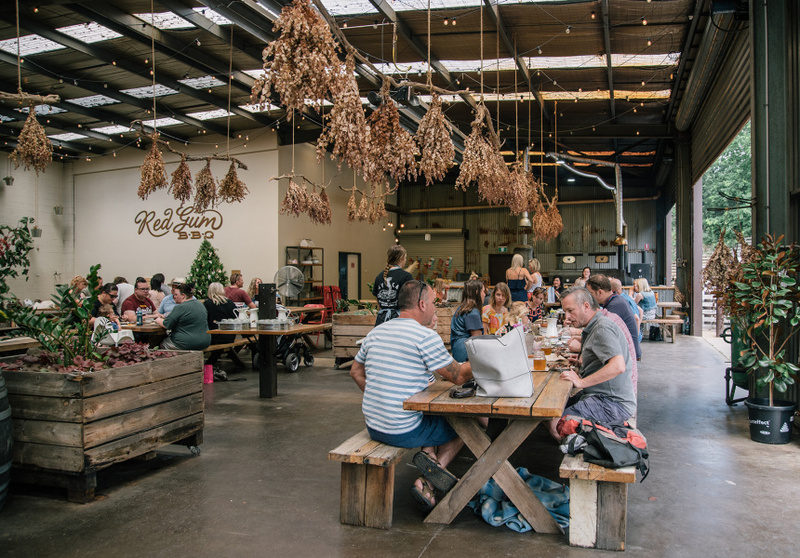 Now, it’s warm and friendly, with large communal tables and the lingering smell of slow-cooked meats. The magic happens in a large offset smoker imported from Texas and affectionately named Big Red (all good smokers have a name). It’s fuelled exclusively by locally sourced red gum, rather than the hickory and mesquite you’d find in the States. Martin reckons this gives the meat a cleaner flavour. Each cut is priced by weight. See what’s going on the display behind the recycled timber bar. 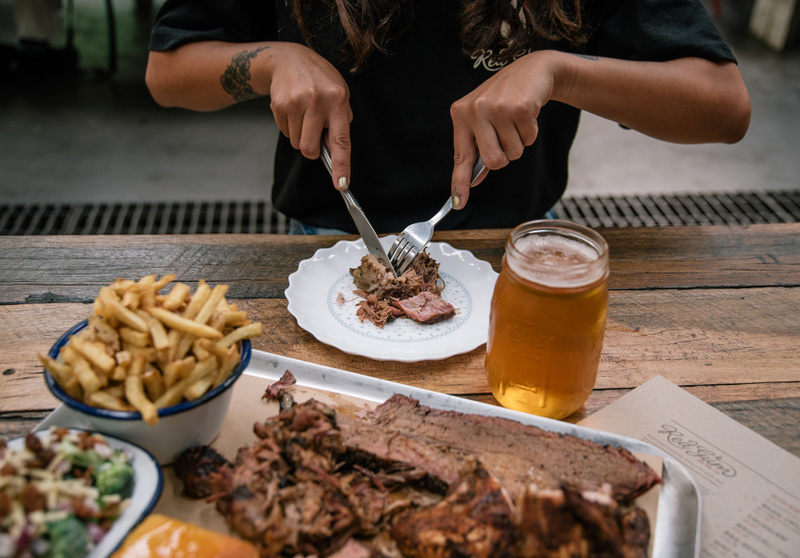 It might be free-range pulled pork sourced from Borrowdale in Queensland; Riverina beef brisket; Bannockburn chooks or house-made cheese and jalapeno sausages. Be sure to try the cornbread, mac‘n’cheese and a slice of sweet pie, too. 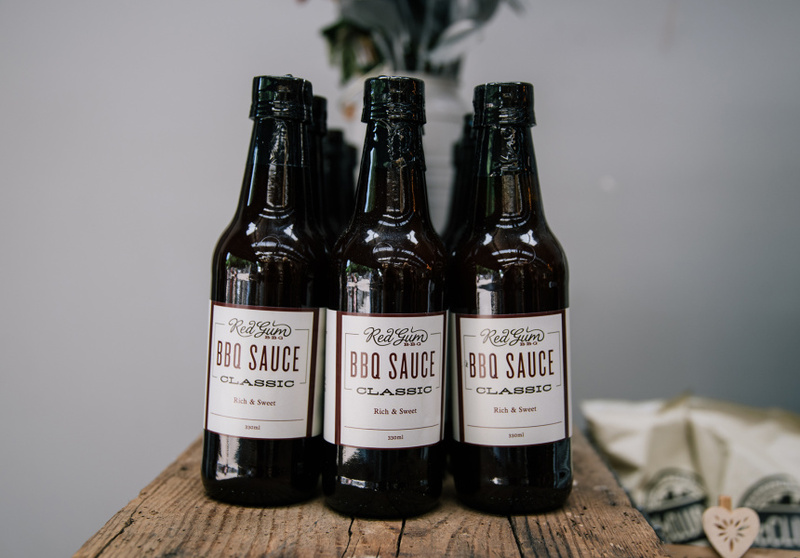 And no barbeque is complete without a good hot sauce: three varieties are available on every table. Behind the bar, 10 taps fill jars with beers from the likes of Jetty Road Brewery and Mr Banks. There are also local wines and a house-made watermelon sangria that’s unbeatable on hot days.